Seeing our dinosaurs up close is exciting – but getting your hands on science is an even more amazing experience. Which is why we try to bring you hands-on, educational activities that make you the scientist. Several mornings a week we have a volunteer on-hand in our Hall of Paleontology to help you experience the work of a paleontologist and malacologist. 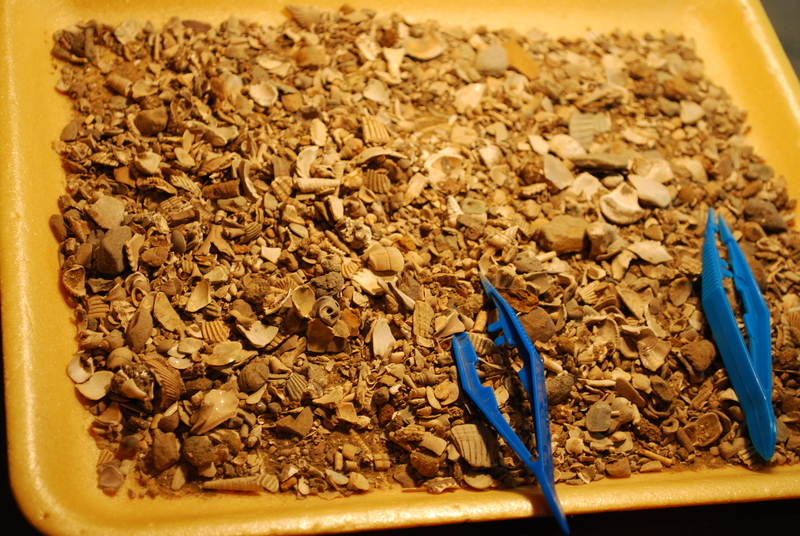 Come by soon – you can help us sift through the shells and gravel collected by our teams in Bryan, Texas for fossils that are from the Eocene era, from species that lived over 35 million years ago. Help us separate the fossils – old snail shells, clams, mollusks, otoliths, coral and gastropods – and view them in tiny detail under the magnifying glass. 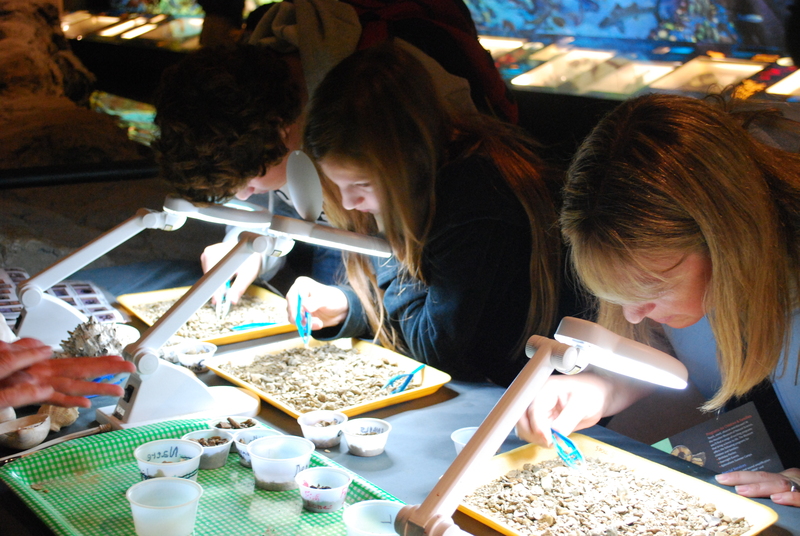 Hold barracuda, manta ray and shark teeth in your hands, and help us to categorize them while you learn about ocean life both past and present. 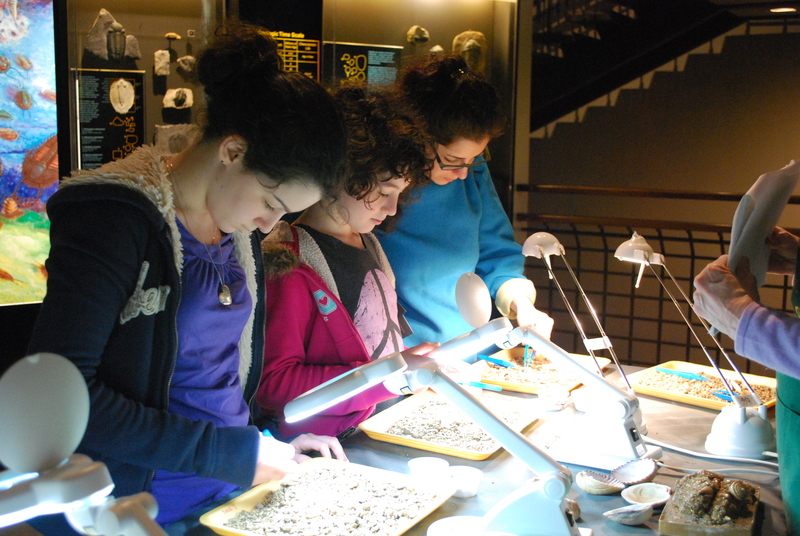 If sorting through our shell collection isn’t hands on enough for you, sign up to go on our family or adult day excursions with one of our curators. Go bird watching with Dan Brooks or collect your own shells on a malacology trip with David Temple. Sign up at hmns.org, and keep your eye open for future science trips. Next Post Hug-A-Bug, This Saturday!